Since its inception in 1938, the program has evolved from an ancillary program with low participation to a central pillar of federal support for agriculture. As the program has grown—in types of insurance policies, breadth of crops covered, and millions of acres enrolled—so has the cost of the program to the federal government. The first two chapters provide an overview of the federal crop insurance program. 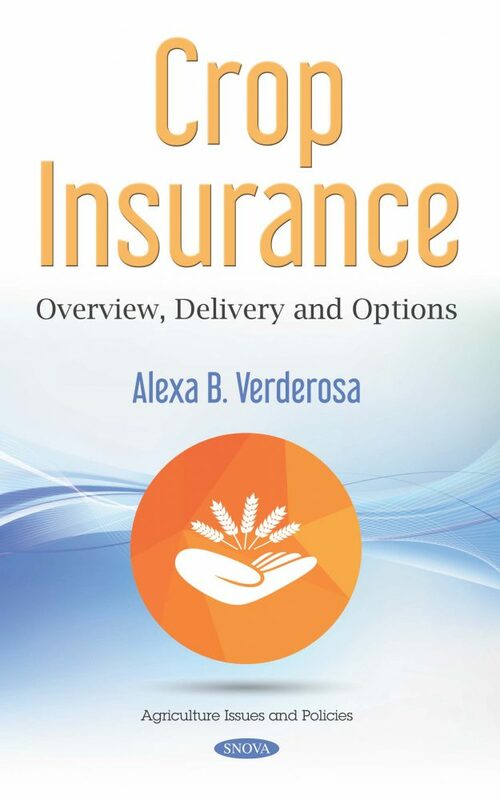 Chapter 3 focuses entirely on delivery subsides and explains how delivery subsidies are calculated, the limitations of publicly available data on the actual delivery expenses of Approved Insurance Providers (AIPs), and how AIPs spend delivery subsidies. In 2010, USDA negotiated an agreement with insurance companies to set a national cap on the annual payments it makes to them for expenses and a target rate of return. Chapter 4 examines (1) the changes in expense payments to companies due to the cap, (2) the extent to which the program’s target rate of return reflects market conditions, and (3) opportunities for the federal government to reduce its delivery costs for the program. Before the Agricultural Act of 2014 cotton was eligible for most Federal farm programs. The 2014 Farm Act eliminated multiple programs, including the Direct and Countercyclical Program, while introducing several new programs, including the Supplemental Coverage Option (SCO), and Stacked Income Protection Plan (STAX). Chapter 5 focuses on the two new programs for cotton and examines the mechanics of the programs and their revenue impacts. Catastrophic coverage for noninsurable crops, known as the Noninsured Crop Disaster Assistance Program (NAP), has been available since the Federal Crop Insurance Reform Act of 1994. Chapter 6 examines the effects of the 2014 NAP policy change. Crop insurance premium subsidies are an important part of Compliance incentives under the 2014 Act. Farm program benefits under the 2014 Act could be as high or higher than under the 2008 Farm Act; but for individual farms, the shift toward a crop insurance-oriented policy could increase or decrease Compliance incentives as reported in the last chapter.